. : 10/15km Classic in Canmore :: Ski XCOttawa.ca :: Skiing in Ottawa and Gatineau Park :. Sunday morning was the last race for the World Cup Trials as part of the NORAM in Canmore. After some good results from Saturday XC Ottawa was back at it again, with a 15km classic for the men and 10km for the women. Racing on one of Canmore's toughest loops, there was excessive climbing, tricky corners, and little flat throughout the race course. The men completed 4 challenging loops of 3.75km, and the women did 3 loops of an equally taxing 3.3km. The race clock started at 9am, with the men up first under gray skies that had just lightened up after the late sunrise. Karl easily posted the best place for XC Ottawa, finishing an impressive 28th overall. Next up was Lee in 42nd, Matthias in 56th, and Andre rounded out the team in 80th. The women started soon after at 10:30 and were greated with falling snow, covering the well skied in tracks. Megan lead the way for the ladies, finishing 20th overall. Sheila was 29th and Ingrid finished 35th. Once again, thanks to our amazing waxers, Coach John, Anna, and Justin. They prepared us flawless skis, which has become a common occurance over the years. While the racing was over for the day, the excitement was not. The team came home after a nice evening in town to discover that Megan had qualified for the Quebec World Cup sprint! Megan will hit the startline on Saturday with 13 other Canadian athletes and the best cross country skiers in the world! For a complete list of qualified athletes, click here. World Cup action starts on Friday in Quebec City with team sprints, and then switches to an individual sprint on Saturday. After Quebec City, the eyes of the ski world will move to Canmore on December 13th, with a 10km/15km classic. 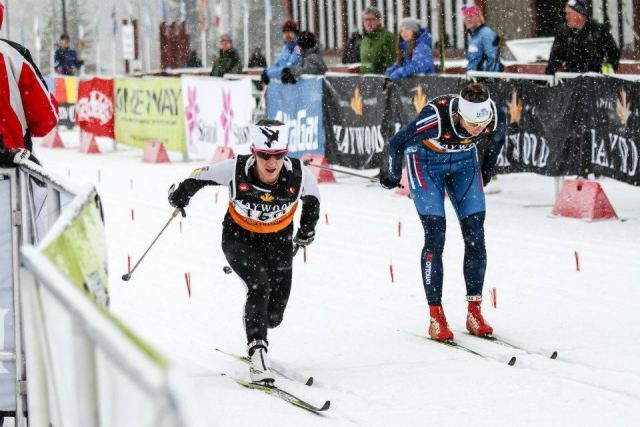 Next up will be a sprint on December 15th, and the event will finish off with a skiathlon (15/30km) on the 16th. If you are in the area, be sure to check out the races as they promise to be both exciting and engaging!